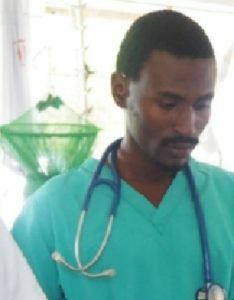 Katende Andrew holds a medical degree from the Muhimbili University of Health and Allied sciences (MUHAS), Dar es salaam Tanzania. He completed his year-long medical internship program at Gulu regional referral hospital, Northern Uganda in 2014 where after he joined Nile clinic in Jinja, Uganda as a Medical Officer. He previously worked as a Research Assistant on a project evaluating integrated maternal and newborn health care program in Morogoro region, Tanzania, which was collaboration among Ministry of Health and Social Welfare, Muhimbili University of Health and Allied Sciences & JHPIEGO, 2013-2014. In 2015, Dr. Katende joined Ifakara Health Institute, as a Medical Research Officer working in the Chronic Disease Clinic of Ifakara (CDCI). Currently, he is a co-investigator in the ongoing multisite trial of Adjunctive Sertraline Treatment of HIV associated Cryptococcal Meningitis.